Who would want to go out into the cold weather nowadays using the jackets made with technology from the 90s? So, for you to wisely choose a snowboarding jacket that both suits you fashionably and functionally, we have made a custom list that’s going to serve both purposes. By the end of this guide, you’ll probably become the next expert in choosing the best snowboarding jacket next time going to the mall! Congratulations! There are several ways to choose for yourself a suitable snowboarding jacket, and they’re all okay. However, some factors still weigh in the most in the decision. Is there anything worse than going out in the cold weather with your carefully-selecting coat and then ending up getting wet from all the snowing and raining? I bet that would make a lot of people cranky, especially when it could happen on a Monday morning. And therefore, putting this function at the top might not be shocking. So do you know how waterproof the jacket is before you buy it? After waterproofing, did you notice the breathability of the materials? And you ask yourself, “Do I need the breathability?”. Then the answer would be, in the wintertime for snowboarding, it certainly doesn’t hurt one bit. If you want to get too hot and sweaty quickly in those non-breathable fabrics, then take the next coat that comes along! Anyway, in most conditions, this can be fixed by just unzipping the jackets. You should probably account for the snow you letting in which also makes you vulnerable to hypothermia. As aforementioned, Gore-Tex is the first and foremost technology in waterproofing and breathability. It is THE ultimate choice to make as it is wildly waterproof and breathable. Also, Gore-Tex always comes with fully sealed seams (in fact, it has been the requirement for any jacket manufacturer that is using the Gore-Tex technology!). Just make it easy for you, go with the waterproof breathable coat. What do all the insulation layers do? It primarily traps and keeps in your natural body heat. There are two types of insulation of your layering system, which are natural and synthetic. Goose down insulation would make a heavy winter seem like a breeze. Venting is crucial when you’re sweating up a storm, or just being too hot, particularly in the underarm. Most jackets, fortunately, will come with these, often in the form of zippers with a mesh lining. Some people unquestionably value vents a lot, so if you’re one of them, then make sure that your jacket has ones that are easy to reach and use. We hardly never go anywhere without phones (as well as wallets, keys, sunglasses, etc.) anymore. Therefore, it has come to the manufacturers’ attention how much we, as the customers, appreciate well-placed and roomy pockets. Is it a bit weird that I put this at the bottom? We all want to look good even on the mountain. However, the other elements are just factually more necessary. And don’t worry, sportswear or not, all the brands, companies, manufacturers, they know they’re still in the fashion industry. They know! They’re not going to make it hard for you to find one that fits everything that you need. Now have you had any pictures of the coats you’re going to buy yet? 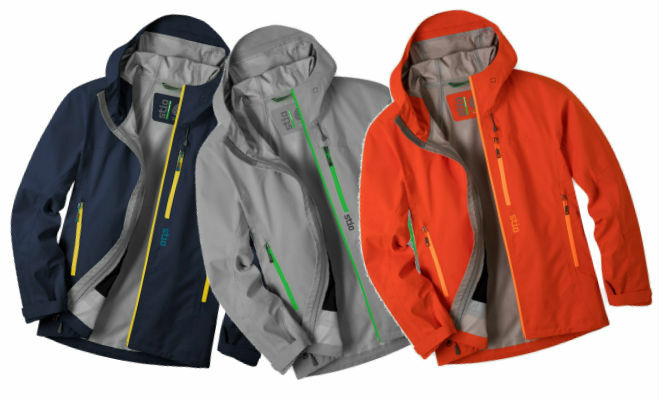 If not, let’s dig into our list of top 25 snowboarding jackets! The Covert jacket has been dominating the top positions for some time now. What has made it special? Just enough waterproof breathable fabric for new and experienced riders to pick it up without even trying out. The amounts of insulations are distributed differently throughout the whole jacket, notably the sleeves versus the arms. Though, at 80g of insulations, it makes a heavily insulated jacket. Foreseeing this, the manufacturer put in the zip vents for you to let a bunch of heat out when the temperature starts rising. If you are eco-conscious, the Bluesign has approved the Covert, so no worries! First off, it consists of 100% recycled polyester GORE-TEX, following Patagonia’s green initiative. And if you think you can’t be fashionable and green at the same time, then you’re missing out big time. With this sort of jacket, you won’t have to worry about what to wear for the next many ski seasons to come. As it has a remarkable density of fibers, it makes sure you’ll never get cold. The Stio Environ Jacket is your incomparable partner for high-speed groomers, hikes to countryside summits and floating through waist-deep powder. It performs well for a weatherproof shell, also incredibly sturdy, and yet, amazingly soft and stretchy. Furthermore, guys, it comes with a removable hood! Stio Environ also understands the need to let the heat out during an intense work on the hill. They put zippers in the pits, hands, chest. This one is the winner of the most durable winter jacket tested in 2018. Why? Because of the material. It is super abrasion resistant, even when you rub it against trees if it ever comes to that. It’s possible that you haven’t heard about Sherpa Gear — a company from Nepal. The Sherpa Gear Lithang Jacket is another 3-layer jacket to make the list. This jacket’s features are similar to other jackets on this list as well. Still, the company pays attention to the little things, helps it have a distinct feeling. When you enter the store, even just glancing around, you can feel something catch your eyes. Before you know it, you try it on, and from that moment, you can’t forget the warm, cozy feeling it gives you. I guess it’s not bad to snuggle in a comfy jacket like this! Are you tired of carrying around all the bulky jackets? Particularly when the weather becomes windier, it would be an excellent choice for that. You can run around wearing this jacket and not be overheating at all. That’s how breathable it is. It comes with the waterproof feature as well. So don’t worry if your run might catch a bit of rain. The Arc’teryx built the jacket to be phenomenally wind-resistant too. The North Face is already a big name with this kind of jacket, but to respond to their competitors, they come up with this jacket. It is fully seam sealed, impressively waterproof and has serious breathability, making it suitable for any kind of activities, even ones with water-based. They also bring the pit zips to this jacket that glue all the parts together as a superb choice for many kinds of weather. And they even add the powder skirt! Come on, the North Face! Wantdo delivers to us a great variety of choices for anyone who wants to stand out on the slopes. They can, too, be noticeable to the rest of their relatives/ group/ friends when literally everyone else is rocking those ski clothing in gray or black! The jacket isn’t just popular for its looks. It can bring a lot to the table as well. The material is not only water repellent but also keep you cozy and warm with the inside fleece no matter how heavy the snow and cold it gets. If you’re one of the adrenaline-junkie that loves high output activities winter-based, finding this jacket can be equivalent to finding the one. It’s super light, waterproof, and breathable, suiting for the dreaded wet snow mixing with heat and wind all blowing hard. Let’s say, to keep the jacket this light and 3L, L.L.Bean still got a few tricks up their sleeves to impress us. Columbia has made a name for itself by providing their customers with appealing yet still insanely functional jackets. The insulation and 100% polyester material guarantee a warm experience with the coat. As well as the material, the jacket has large zippered pockets perfectly served as storage for any purpose such as phone, keys, etc. The seam can be effectively sealed sparing the worry that everything will fall out. If you’re planning for an early morning tour and don’t want the jacket to take much room, this is the one for you. With the sort of fabrics, you can easily toss it inside your backpack and still have the tough feeling of a jacket. Stio Environ keeps two traditional pockets along with the inside zippered pocket to make an ideal place to stash your goggles. Besides, it has an adjustable hood with a bonded brim in case of serious storming. With this jacket, Helly Hansen assures its customers that they know what they’re doing. Besides being waterproof, windproof and breathable, they even have the Durable Water Repellency treatment (DWR). If you’re in need an affordable all-around jacket, Helly Hansen has brought it to you on a silver platter. It can keep you warm with the fully insulated shell without making you suffer from the heat. For that, they have installed the underarm ventilation zippers. Burton once again prides itself by DRYRIDE 2-layer polyester and fabric weave as one of the best snow jacket technologies on the market. They also plant THERMOLITE and taffeta in the living lining to regulate body temperature. It surely isn’t hard to see why this jacket still has high regard in the snowboard-jacket-community. And it has a cult of loyal customers as well. Arc’Teryx’s oldie but goodie has been around since the 2000s, with the masterful craftsmanship and an array of features. It carries the fashion as well as the functions. During -30 temperatures? Your friends and family having troubles finding you at the slopes? This jacket serves both of your purposes. Expanding its customers reach, Columbia presented its mid-priced jacket with a tough shell and synthetic insulation. It definitely will protect you from the harsh weather of winter. At the same time, it doesn’t make you lose any heat. The jacket comes in 6 color options. On top of that, it makes sure the storm hood is removable! Now, let’s talk about the budget! The Dusk Jacket is a fantastic pick for anyone who doesn’t need a fancy jacket but wants the benefits while enjoying the occasional ski trips. With a madly affordable price, Mountain Warehouse still manages to put in a variety of features. Such as: 100% polyester (make sure you don’t lose your body heat while going down that ski slope); waterproof coating (makes this skiwear snow resistant); windproof; snow skirt; etc. It should have come as no surprises when another jacket from The North Face made it into the list. They have improved their products based on the customers’ feedback for a long time. And it made a difference. The vast majority of its customers are women. The manufacturer sets this jacket apart from others, because of all the features. From a woman’s perspective, those features are super useful and not bothersome! Helly Hansen is undoubtedly upping their games with this jacket. It has an admirable performance among other powerhouses without backing down. They equip the jacket with two-way mechanical stretch tech, PrimaLoft insulation helping keep bundle of warmth when you’re sliding around. And last but not least, it is waterproof, windproof, breathable and fully seam-sealed! If your aim is at luxury outerwear, you can hardly go wrong with Moncler. To get in the race, the Italian label introduced a lavish line of premium skiwear to plant its root. And they don’t disappoint. It packs in so many protective and high-tech features that I lost count. They’re the optimal choice for even the harshest weather – still a lightweight shell with a quilted, down and feather-filled lining for the warmth. Burton offer over 15 color choices for this jacket. Guaranteeing you can find one that suits you and match the rest of your snowboarding gear. And that’s necessary for many people. Other than colors, they make it easier for the wearer to efficiently access all the pockets on the jacket located on the front and sides of it. However, the thing I love most is that Burton provides a lifetime warranty when you’re purchasing this jacket. QuikSilver is definitely not a newbie when it comes to boardsports outerwear. Their jackets have a significant impact on customers, but very low when it comes to the environment. They offer recycled fabrics and innovative SPINDYE®’s ground-breaking waterless dying system to ensure every garment in the collection is as ecologically friendly as possible. We also fell in love with this jacket’s hood. It’s 3-way adjustable, helmet compatible and fixed! Is there any snowboarding jacket with many features, affordable and also stylish available? Yes, there is. This jacket carries infiDRY 10k breathable fabric which helps a lot when you’re running, working out, or just sliding down the slope. They also put in the mesh-lined pit vents to let tons of heat out when you need to. 686 naturally installs a powder skirt and wrist gaiters to keep all the snow and cold out. Just say helmet-compatible hood alone won’t be praising this jacket enough. Oakley put in the work. The hood can stretch to reach up over the whole helmet and then cinch down for protection. Perfect for any helmet-wearer! And, for the harsher weather, don’t be afraid, they made sure the cold can’t get to you with 100g insulation. Plus, Oakley didn’t forget pit zips for ventilation as well! Adidas certainly is a powerhouse when it comes to sportswear. However, they were a relative latecomer to the snowboard party. Then again, early or not, no one can deliver stylish garments like Adidas’s style. That’s not even the last of it. They build with Agravic 3-layer that makes hikes between raindrops, wind, and snow seem like a breeze (because of the lightweight ripstop!). The last 3 in 1 jacket, this time, Salomon brings it. When it comes to this jacket, Salomon proudly calls their inner jacket Advanced Skin Warm (100g insulations – more than enough to keep you warm) and their outer shell – the Advanced Skin Dry (contributed to the waterproof rating). This jacket also packs with front and arm pockets that are big enough for your comfort. Along with all the tech Salomon spent to make it advanced, the jacket also has stretch panels. There are so many fantastic options for a suitable winter jacket on the market, so you can even be easily confused or overwhelmed sometimes, or both. Nonetheless, with this list, we hope that we were able to help you make an informed and fitting choice or at the least, guide you in the right direction. Have fun and be warm (and safe) out there!